CLEARFIELD – At the beginning of Thursday’s Clearfield Borough committee meeting, the council heard from Dawn Graham, who lives along the riverwalk. She said she wanted to bring up some issues she’s noticed, so they can “nip them in the bud,” before they get out of hand during the summer. She said this past weekend, she and her daughter saw two guys at the amphitheater smoking something and it seemed they were doing drugs. She called the police and one of the men was taken away. She noted one neighbor found a used needle along the riverwalk, as well. 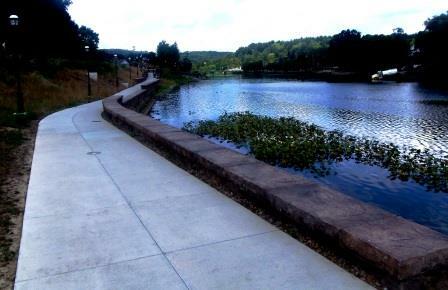 Graham said there are young children that live in the area and use the riverwalk. She has seen a problem with littering, destruction of property, foul language and other issues and the peak time seems to be between when school lets out and dark. Graham had some suggestions, including having a regular police presence walking through the park, closing the area the same way both Witmer parks are closed, having “No Loitering” signs or posted rules. Another issue, she mentioned, is parking on Pine Street during events at the riverwalk when people park on both sides of the street. She noted the borough had passed an ordinance regarding parking there, but never erected signs. Graham asked that the borough consider the issues and work on enforcing the laws already on the books. “I would be glad to help in any way I can,” she added. The committee members had a number of items recommended for approval at the regular meeting. One of these is an ordinance regarding the keeping of animals, including dogs, cats, fowl, fish, reptiles, rabbits, cows, horses, pigs and so on. The borough planning commission has been working on this ordinance for some time now and the planning committee asked council to review the draft. The next step is to approve the draft and send it on to the solicitor for review. Some of the issues to be addressed by such an ordinance include defining and dealing with public nuisances regarding multiple animals kept on a premises, limiting the number of animals allowed on a premises, and which are prohibited. Residents will be expected to keep animals on their property in a secure manner, so that they do not roam the borough “at large” and to leash animals while traveling on the streets. The draft ordinance also defines animals declared as a public nuisance, prohibits keeping farm or barnyard animals or dangerous, wild or exotic animals and limits the number of animals that can be kept. The ordinance does allow for chickens to be kept in the borough, with the maximum number at six, and only females will be permitted. However, a permit is required to keep chickens. The ordinance also addresses abandonment, odors and infestations, the keeping of venomous and constricting snakes, and requires dog licenses for dogs three months or older. Enforcement, fines and penalties etc. are also detailed. Code Enforcement Officer Larry Mack emphasized that the ordinance has not been adopted and there are still several steps the borough needs to take before it becomes law.